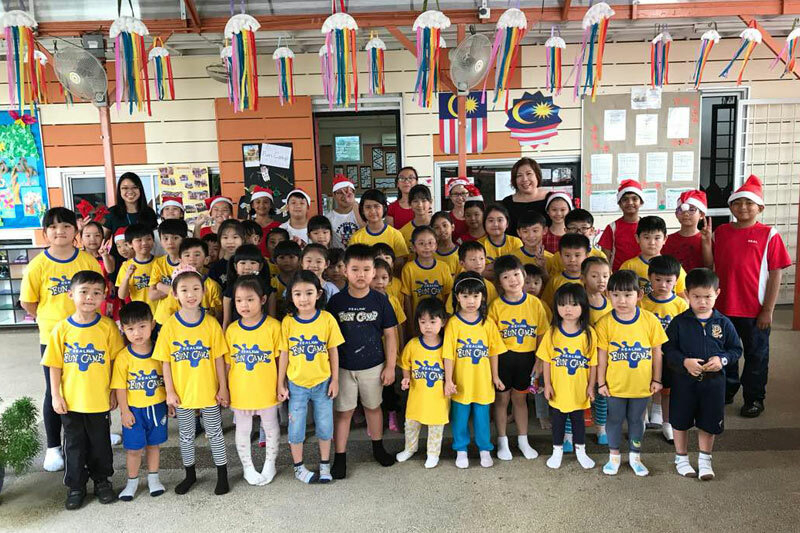 This year, Christmas came early at R.E.A.L International School (RIS), Cheras Campus when its Primary students went caroling around the school and even spread yuletide joy to the teachers and children of the campus’ R.E.A.L Kids preschool. 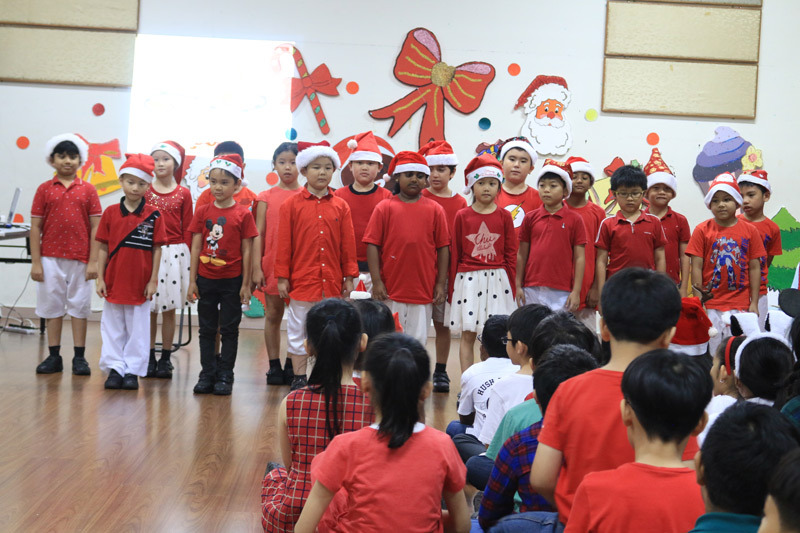 Although taking place on 27 November 2017, the festive cheer and spirit was no less enthusiastic as Christmas carols filled the air, culminating with the Primary students singing at an assembly held at the school’s multi-purpose hall. 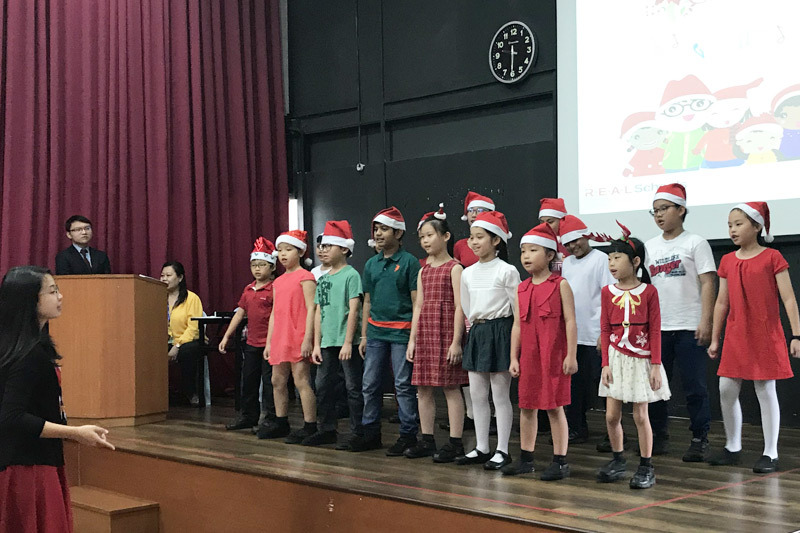 The highlight of the Christmas Fete was a special assembly which was hosted by RIS’ Ms. Audriey and Ms. Rachel that was held at the school’s Performing Art Room. Ms. Rachel began proceedings by explaining the meaning of Christmas; followed by a short video on the birth and sacrifice of Jesus Christ, which helped students to better understand the origin or reason behind the celebration. The celebrations ended on a high note with the presentation of the Homeroom Management trophy which was won by Year 6V. The trophy was given to the best decorated class according to the Christmas theme. As the school ends 2017 with a bang and looks forward to 2018, the Christmas Fete was a fitting celebration for all to enjoy and to reflect on the year’s achievements and blessings. 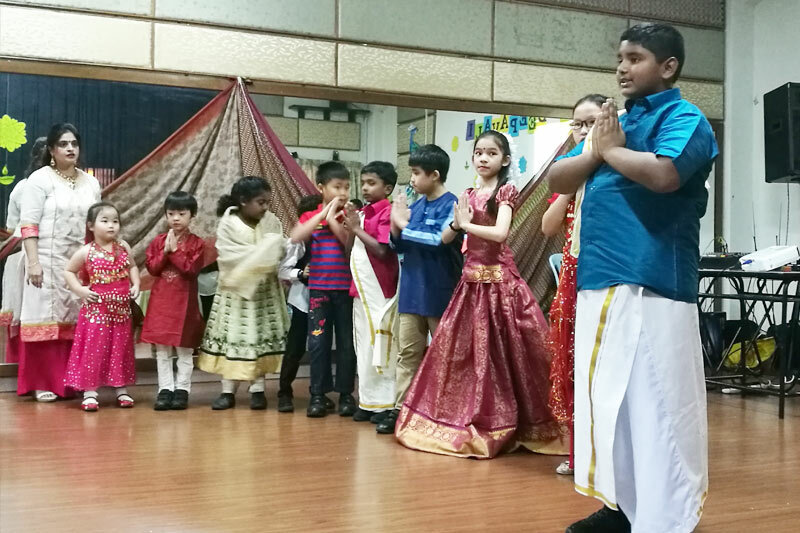 Prior to the Christmas Fete, R.E.A.L International School (RIS), Cheras Campus celebrated another annual major festival, Deepavali. 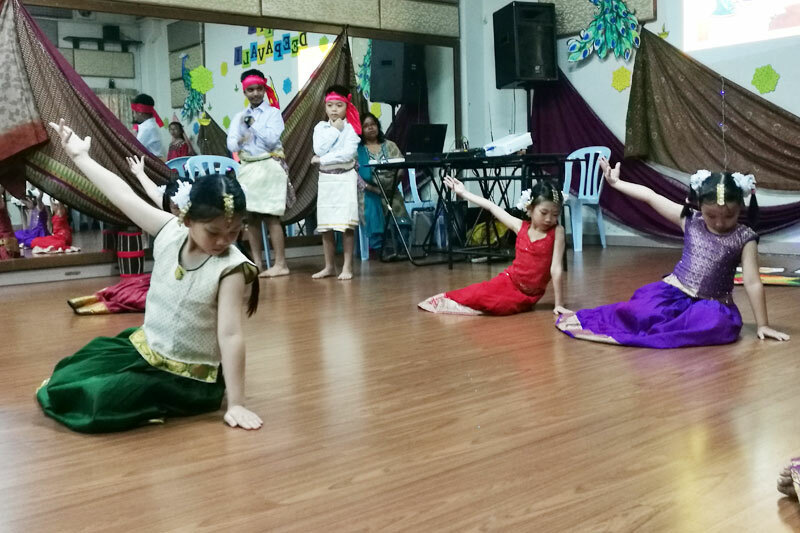 In conjunction with the Festival of Lights, a special assembly was held at RIS’ Performing Art Room on 13 October 2017. An opening speech by RIS Principal, Ms. Catharine, was duly followed by the lighting of oil lamps called ‘Kuttu Vilaku’. Keeping the audience engaged and entertained between performances were students Rain Su and Hannah from Year 6 who, accompanied by their teacher Ms. Karthigga, emceed the event. They started the show by presenting a beautiful and enlightening story on the history of Deepavali and its rituals and common practices, which added to the students’ knowledge of the festival. The lineup of performances began with aplomb with a captivating dance number by the Year 5 and 6 students that featured a unique mixture or combination of traditional and modern Indian dance. The second performance was an adorable light dance by the Year 1 and 2s; followed by a vigorous, lively folk dance by the Year 3 and 4 students. There was even a fashion show by both students and teachers who flaunted eye-catching, traditional Indian costumes. Rounding off the assembly was the presentation of the Homeroom Management trophy, which was given to the best decorated class according to the theme of the day, Deepavali. Overall, it was a day for students to shine bright in terms of showcasing their talents as well as to enjoy all the food and games that were on offer. 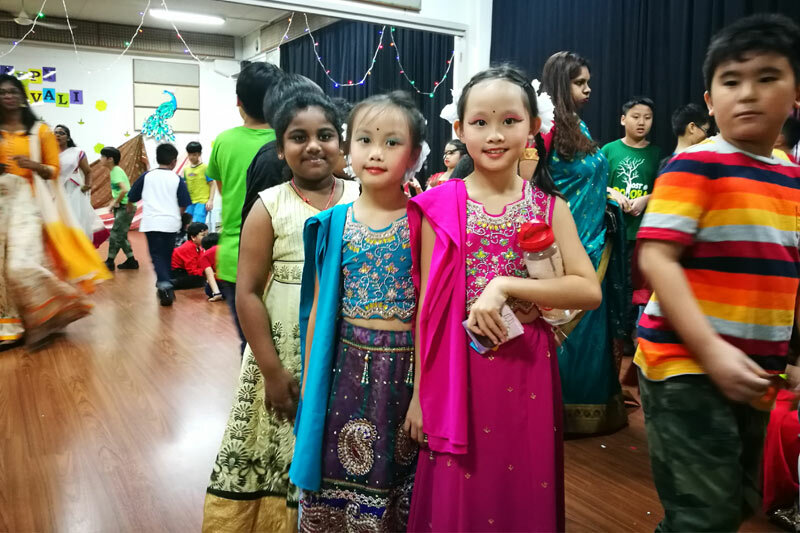 The post Year-end Festive Merriment at RIS Cheras appeared first on best international schools in malaysia.